Fashion in Film presented Cold War Fashion : Beyond Espionage in a new rendition on Thursday 8 January 2009 featuring a Q&A with Djurdja Bartlett, an expert on fashion history in Eastern Europe, at the BFI Southbank. A selection of eloquent newsreels and documentaries from post-war East Germany and Czechoslovakia interspersed with conversations between Djurdja Bartlett, expert on fashion under socialism, and the author of the forthcoming book Fashion: the Spectre that Haunted Socialism (MIT Press, 2010), and Marketa Uhlirova, Director of the Fashion in Film Festival. 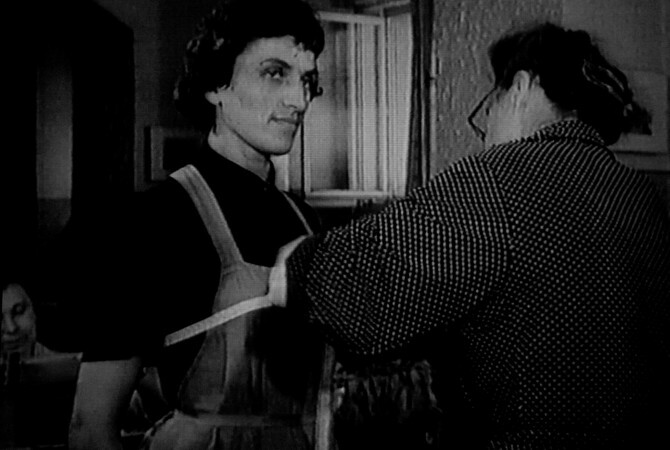 This programme explored the rhetorics of ‘socialist fashion’. From displays of restrained modernist taste to the majestic International Fashion Congresses, fashion espionage and the mockery of ‘Western’ extravagance, it reveals complex issues and tensions, showing fashion as a key player in the Cold War propaganda. Programme curated by Renate Stauss and Marketa Uhlirova and presented in association with Central Saint Martins College and Friday Late / Cold War Modern at the V&A.